A water cooling setup was, before, not that popular to consumers despite that it is obviously better than an air cooling setup. It was first of all, very expensive to setup since you have to buy the parts separately. Second it was not easy to maintain, and many consumers would find it impractical unless you are breaking world records. But now, since the birth of All-In-One liquid coolers (a.k.a the closed loop water cooling setup), many where able to enjoy it since it’s more affordable than a custom water cooling setup. 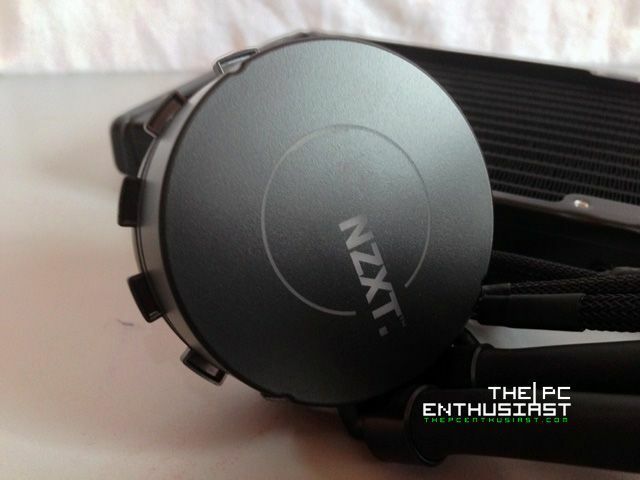 Today let’s take a look at the NZXT Kraken X60, the first AIO liquid cooling system to feature a 280mm radiator. Unlike other liquid cooling kits with 120mm radiators, the NZXT Kraken X60 is designed to cater PC enthusiasts and overclockers who push their CPU to its limits. Let’s get to know more about the Kraken X60 by continue reading my review below. Motor Speed 2900 +/- 150 R.P.M. 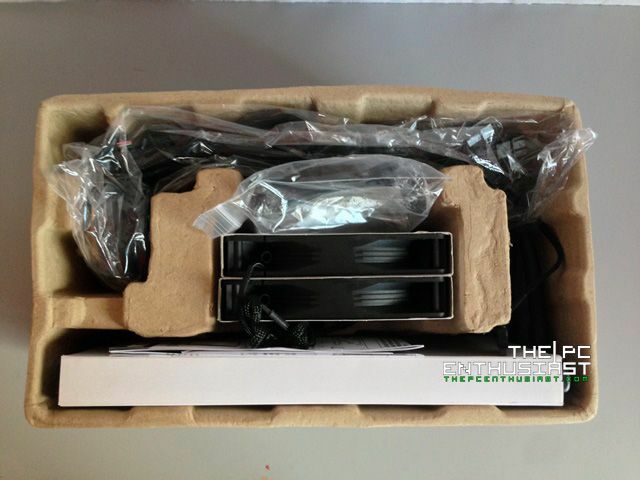 Above you see the front and back view of the Kraken X60’s box. 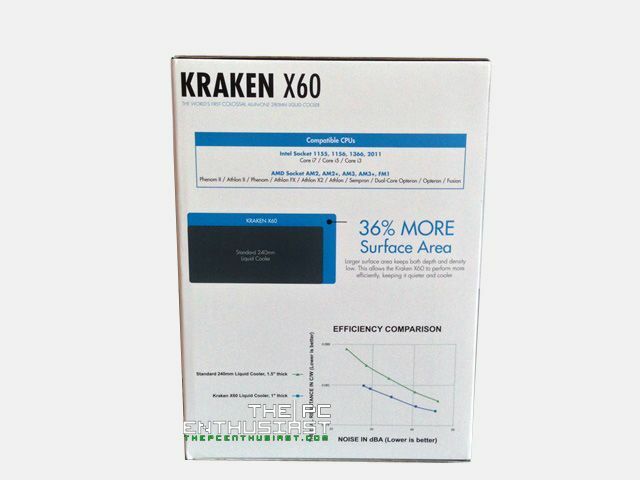 A brief feature of the Kraken X60 can be read at the back of the box. Meanwhile the specifications, list of compatible CPUs, and a brief performance comparison can be seen at the sides of the box. Opening the box will reveal the kit. 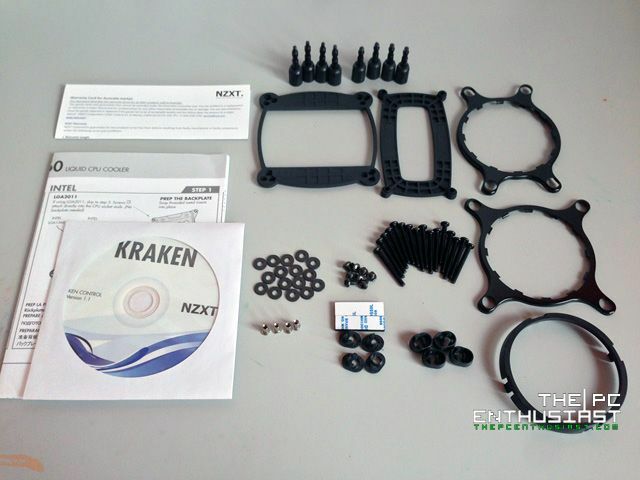 The NZXT Kraken X60 kit includes the unit itself, an installation guide for Intel and AMD setup, Software Installer, mounting kit and backplate for AMD and Intel, as well as lots of screws. 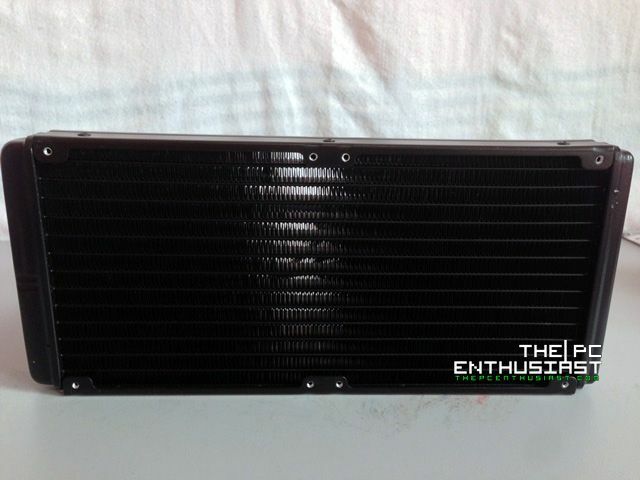 The radiator of the NZXT Kraken X60 is a 280mm radiator with an exact dimension of 314mm x 139mm x 26.5mm. 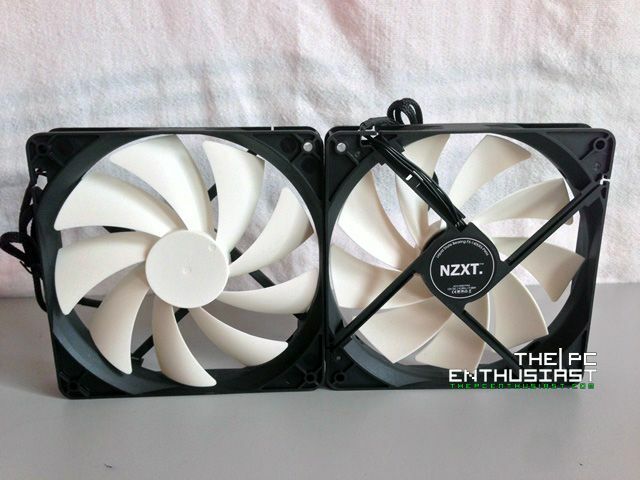 You can only attach two 140mm fans in the radiator, or do a push-pull setup with four 140mm fans. There are a total of 13 flat pipes where the water passes through. The tubes cannot be removed since they are tightly sealed and are leak free. Aside from the two tubes connected to the Kraken X60’s water block/pump, there are bunch of wires. 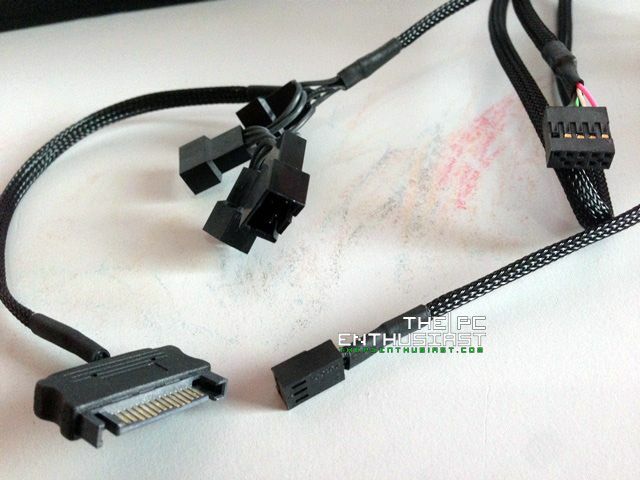 The wires include a SATA power connector, a USB connector, 3-pin connector and 4x 4pin connectors. 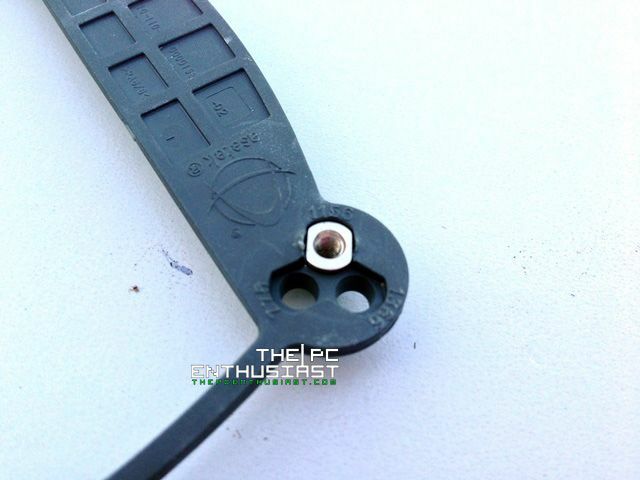 These connectors are responsible for powering the fans, the pump, controls the fan speed, and reading temperatures. 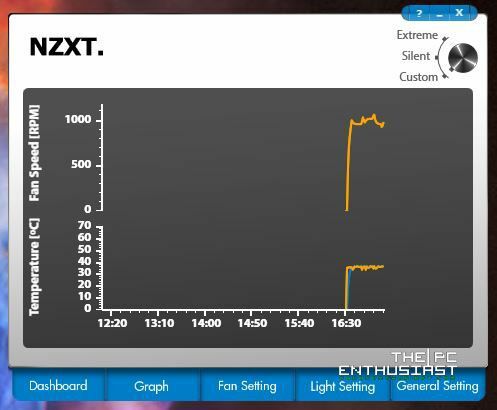 Meanwhile the two 140mm fans are high performance fans. They may look plain and ordinary but they are powerful. These fans can reach up to 2000 RPM rotational speed, with up to 98.3 CFM air pressure. The fans are also silent when in low rotational speeds, but can get (very) noisy at high of max fan speed. 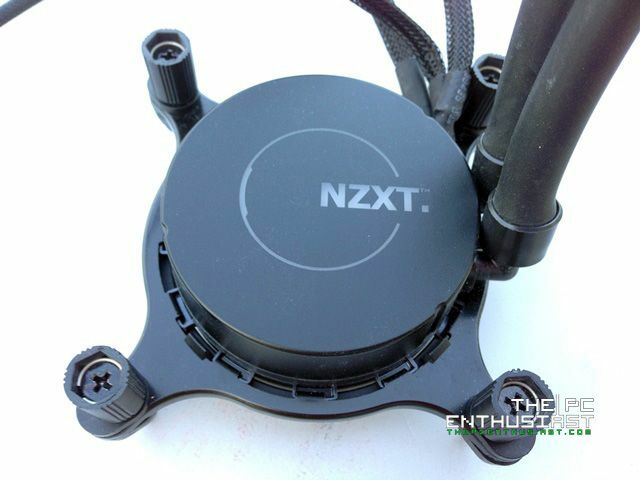 Here’s a good look at the NZXT Kraken X60 water block. It’s not that big compared to other LCS kit, at first I doubted its performance since the pump looks small and it is paired with a huge radiator. Underneath the block is a copper base plate with a thin layer of thermal paste, ready to be installed. But I suggest that you remove the thermal paste and use a better thermal paste if you have one. If there is none, then the stock thermal paste would do fine. 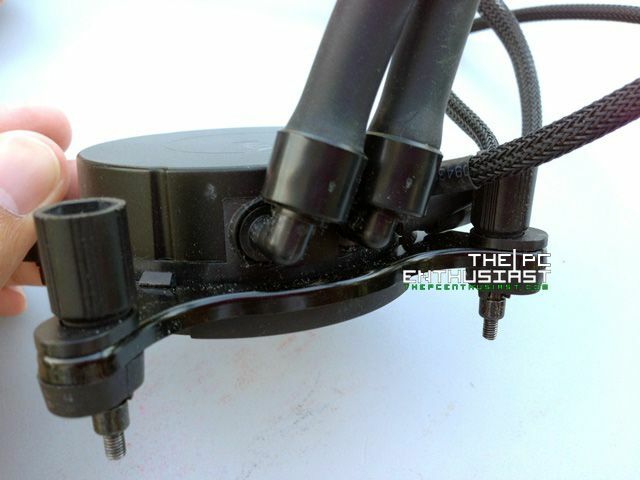 Here is a good view of the water block/pump. 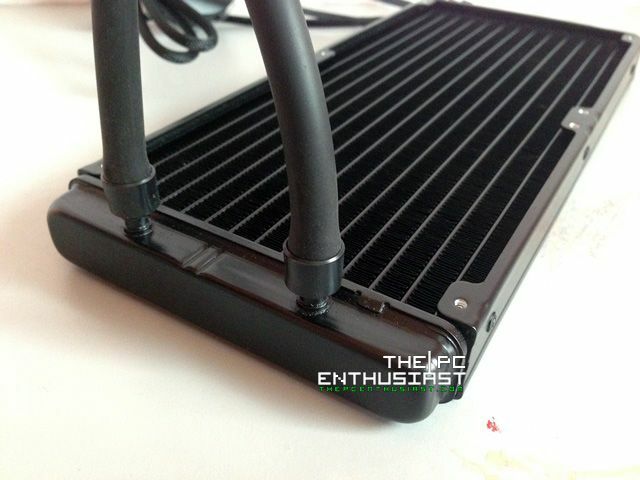 Looks familiar right – Asetek water blocks? The block itself is made of solid plastic, but the base is copper. The photos above show the mounting mechanism. It’s rather easily to install the Kraken X60, since you only need to screw the block to its respective back plate. When installed, the NZXT logo lights up thanks to the multi-color LED that can be changed and controlled. Not only can you change the color, but you can also set the lightning effects. The LED also serves as a temperature indicator. You can set it to turn Red when it hits a certain temperature. I have managed to remove the cover of the block revealing the pump and a small circuitry board. Removing the pump will drain the coolant. I didn’t go any further since I do not have the means to replace the coolant and I don’t want to damage the Kraken X60. 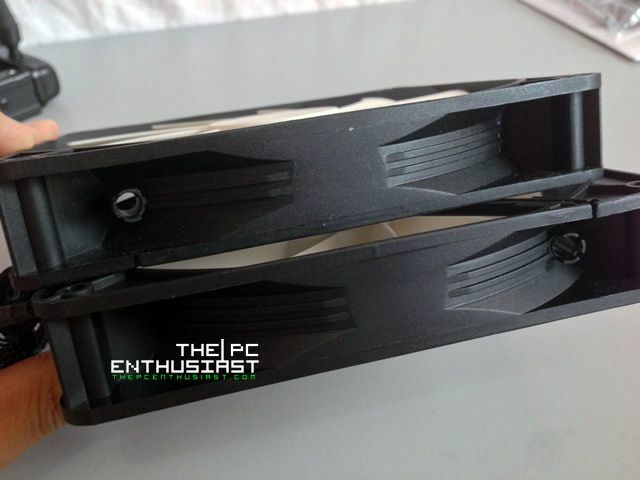 If there is one thing that I did not like about the NZXT Kraken X60 is its plastic backplate. 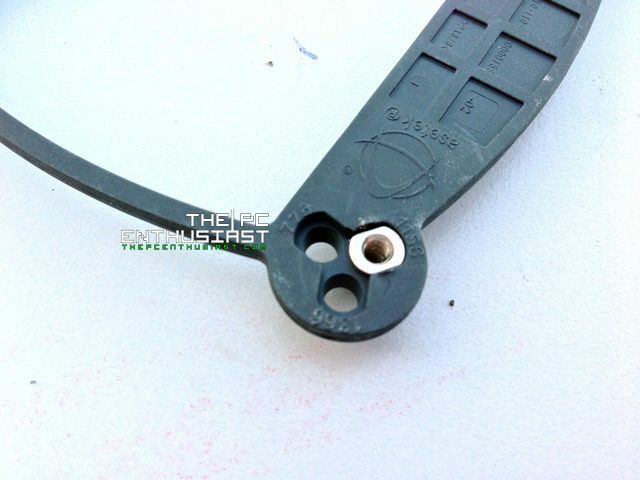 As you can see from the pictures above, the threaded metal insert easily damaged the sides that prevent the metal insert from turning when you screw the water block. If this portion of the backplate gets damage, you won’t be able to install the block properly. This happened to me after transferring the Kraken X60 from one system to another. I was left with no choice but to use a metal backplate that came with the Megashadow. 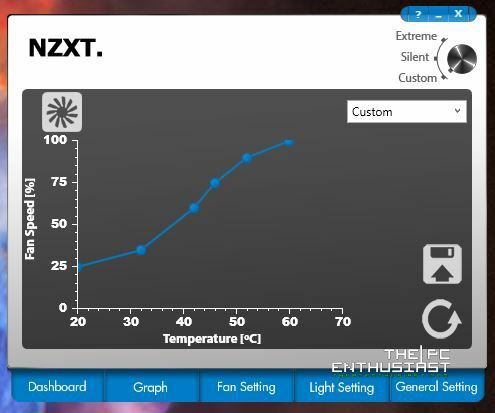 The NZXT Kraken X60 comes with a nice little software where you can set the profile of your cooler, its fan speed, the color of the LED and check temperatures. There are two profiles, the Extreme and Silent mode. In most cases, you would want the Kraken X60 to be in silent mode. Only use the Extreme mode when doing overclocking. 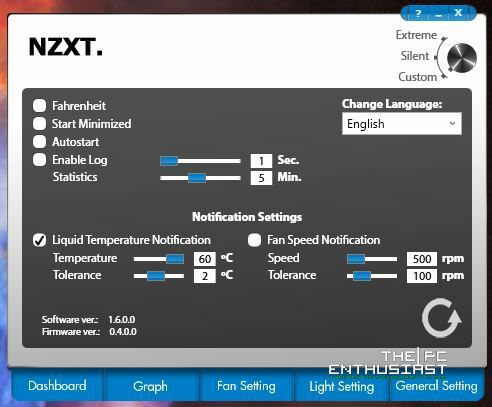 Meanwhile, there is also a Custom mode, where you can customize the speed of the fans depending on the temperature of the CPU. 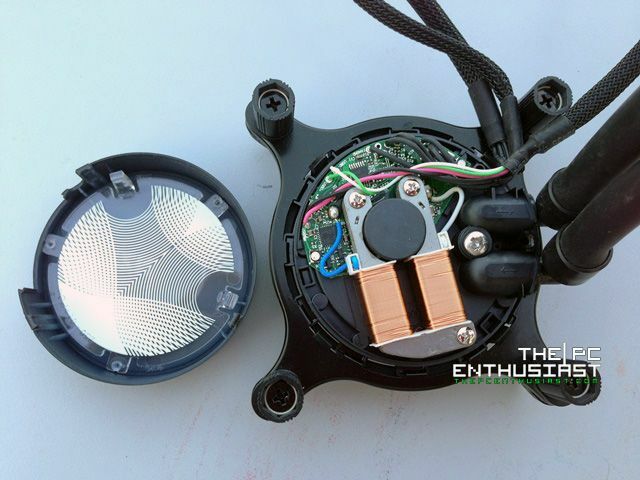 You can adjust how the fan will behave (RPM %/Temperature) by simply sliding the dots. The software can also monitor its liquid temperature, fan speed and pump speed. As for the CPU temperature, the software relies on a third party utility called HWMonitor. When you install NZXT’s software, it will also installs the Hardware Monitor, if you don’t have one yet. 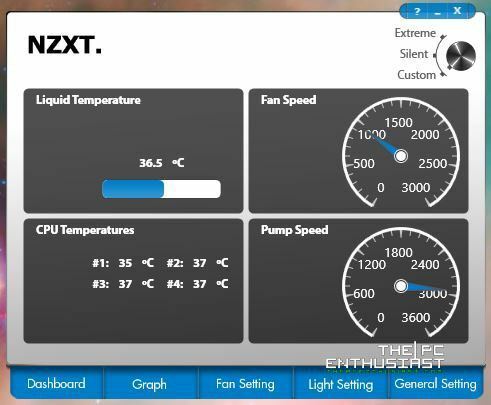 Without the HWMonitor, NZXT’s utility can still function, but it will not be able to display the CPU temperature readings. Luckily I was able to test the NZXT Kraken X60 in both Intel and AMD setup. I thank Asus for letting me play with their hardware. I used an Intel Core i7-4770K for the Intel setup, while an AMD FX 8350 for the other system. I was able to overclock the Core i7-4770K up to 4.5GHz, unfortunately I wasn’t able to overclock the AMD FX 8350 since my PSU was already at its limit. Below are the specifications of each system. Aside from the hardware, I also used Prime95 for stress testing the CPU making sure that it will generate a lot of heat during the test, plus playing several games. I used HWMonitor to monitor the temperature of the CPU during the test and CPU-Z to monitor the clock speeds of the processors. As for the noise produced by the fans, I do not have an accurate noise meter to keep track of the noise level. Using my ears alone, I can tell that the fans are really silent, when in Silent mode and you could barely hear any sound coming from the fans. Meanwhile, as the fans’ speed goes up you can start to hear noise going louder as well. In extreme mode, fan noise is loud and very much obvious already. Below is a table showing the corresponding temperatures that I got when the processors are in idle, 100% load and when overclocked. If you noticed, the temperatures while the Kraken X60’s fans are in silent mode, are higher since the fans are not in its full capacity. Whereas setting the fan to its maximum speed or in extreme mode will give us lower temperature. However during in extreme mode, the fans are loud already. 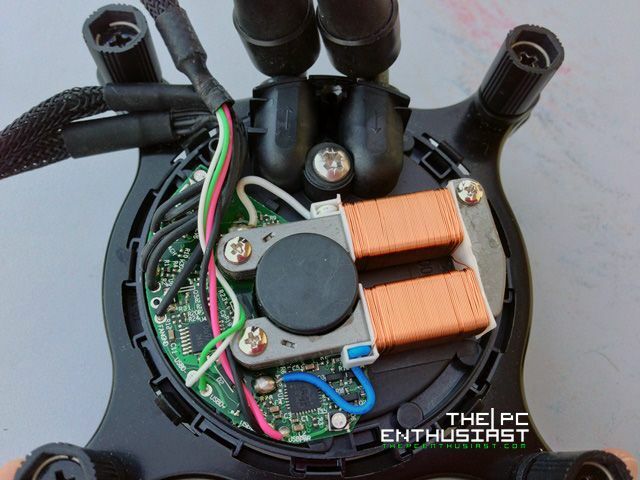 Like what I said, I was not able to overclock the AMD FX 8350 further, since the motherboard that I am using (Asus Crosshair V Formula-Z) would require an additional 4pin power connector when overclocking the CPU. So I was limited with Turbo speed which is 4.1GHz only. But if there is one thing that I noticed, and I didn’t need a sensor or a thermometer for me to know, the AMD FX 8350 performs significantly hotter than the Intel Core i7-4770K. The graph below is a visual representation of the table above. The temperatures I got may be different from other tests conducted by other reviewers. There are several reasons to this, like room temperature, the hardware used and how the system was put up. The temperatures might be different from one system to another as well. But there is only one thing that is consistent and common. 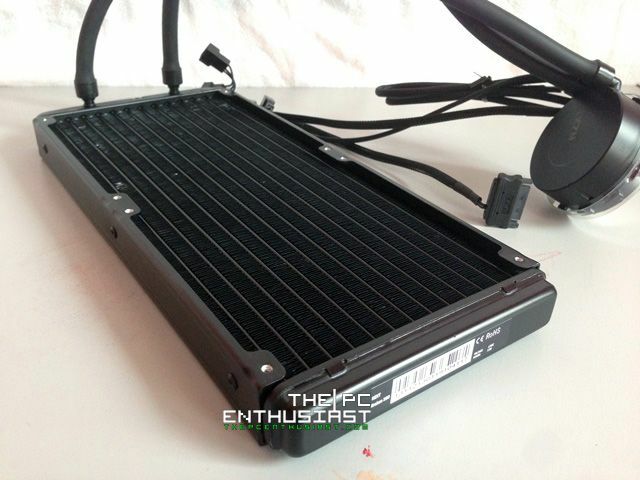 During idle to normal load, you won’t be experiencing any difference when compared to an air cooler. If there was any difference, it wouldn’t be that significant. But the real difference can be seen when a processor is at Turbo speed or when it is overclocked. 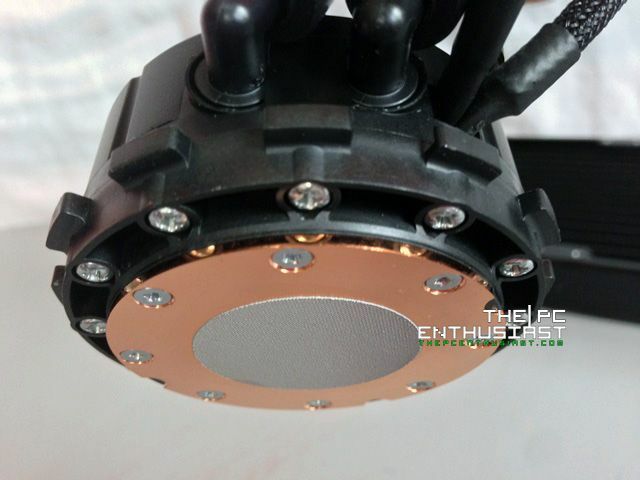 Air cooling would heat up easily, specially if you push higher voltage to the CPU. 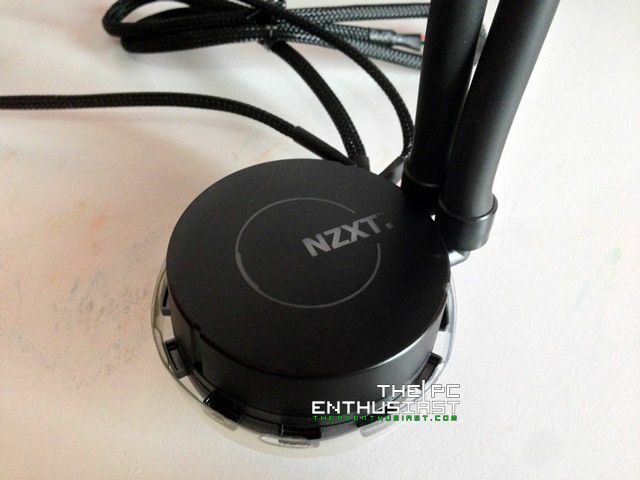 But a liquid cooling system, like this NZXT Kraken X60, can easily dissipate heat emitted by the CPU. This results in lower CPU temperature compared to Air cooling and thus giving you more room to overclock the CPU further. 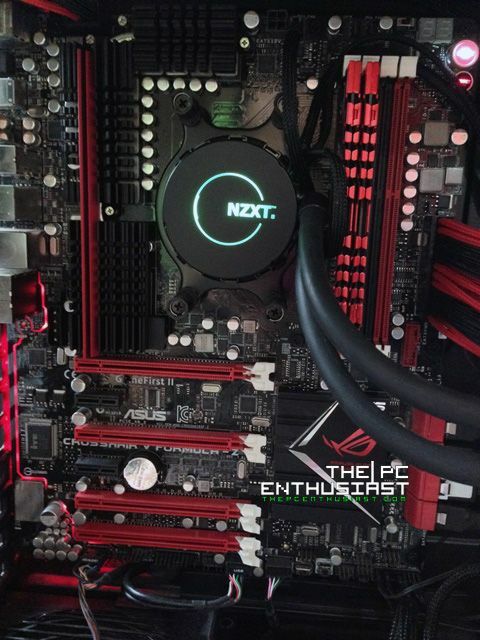 After using the NZXT Kraken X60 for several months now, and tested it on different motherboards and CPU, I am very impressed with its performance. I could not reach higher clock speeds before using my Megashadow air cooler, even when paired with high performance fans. But with the NZXT Kraken X60, I easily reached higher clock speeds with the Intel Core i7-4770K without any problems. 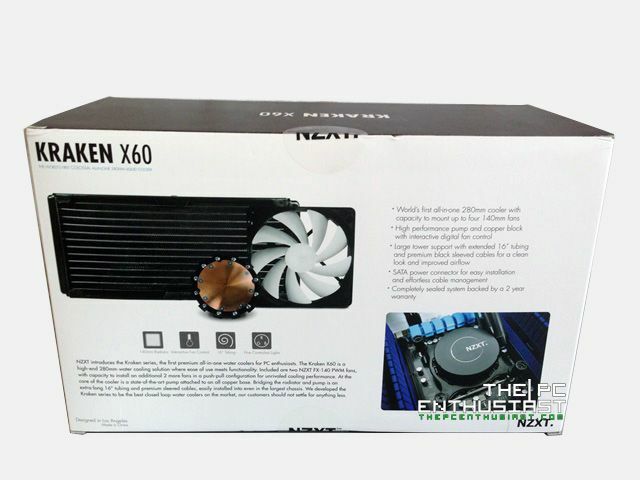 Its large 280mm radiator is one significant factor why the Kraken X60 can perform well. But it is also the one thing that would hinder it from being installed in smaller cases that supports only up to 240mm radiators. I didn’t have any problem with the radiator since I was using a Cooler Master HAF XM, but that may not be the case with others. If the radiator is too big for your case, the Kraken X60 has a little brother, the Kraken X40 which could be an alternative if you have smaller or compact cases. If there is one thing that I would complain about the Kranken X60 is its plastic backplate. I honestly recommended that NZXT would somehow change the mechanism or use a more durable backplate without sacrificing the cost. 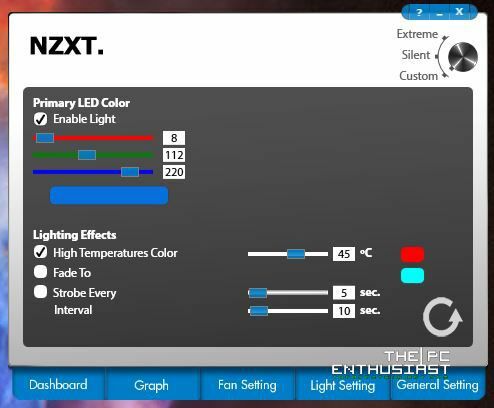 I also like the software that is included with the NZXT Kraken X60, as well as the LED / HUE indicator. It offers control and customization option. In daily use, I’m sure you would want to set the Kraken X60 in silent mode, otherwise use the Custom mode so that the Kraken X60 would adjust to your needs. Another thing that I like about closed loop all-in-one liquid cooling system (and custom watercooling system) like the Kraken X60 is that there is no huge heatsink that covers most of the upper portion of the motherboard. 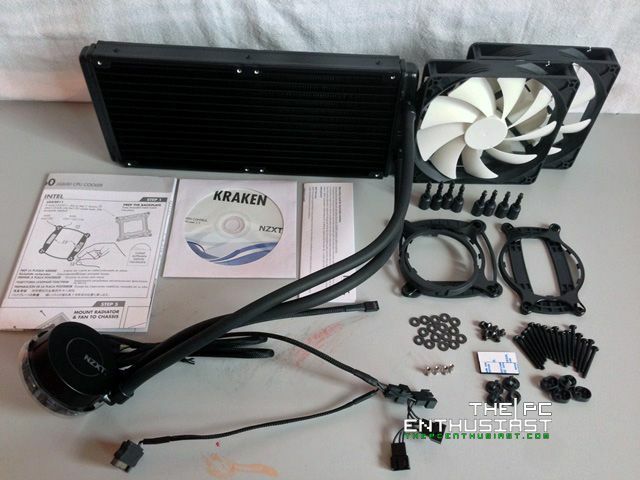 Of course there are not-so-big tower type air coolers, like the Megashadow, but it doesn’t perform well like the Kraken. 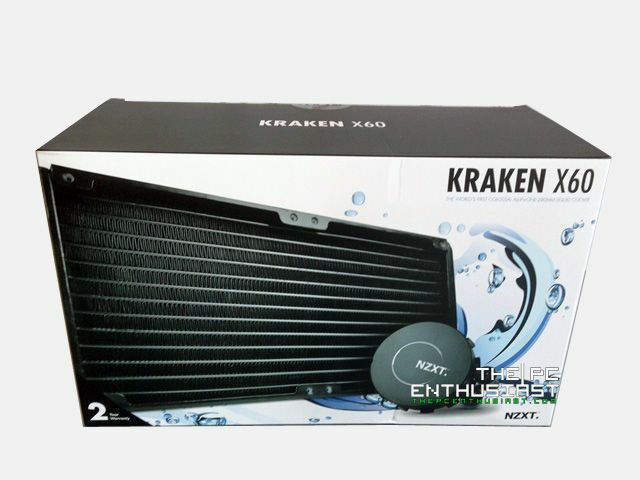 You will have to use a very large heatsink just to match the performance of the Kraken X60. The NZXT Kraken X60 was originally priced at around $146 USD, but right now you can get it for only as low as $119.99, and comes with a 2 year manufacturer warranty. 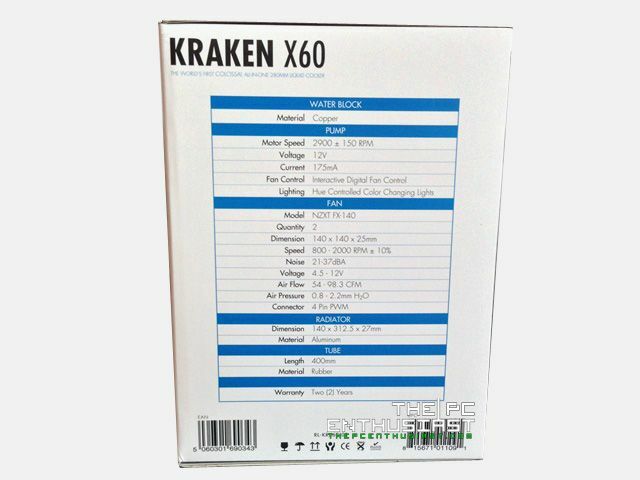 The Kraken X60 is, overall, a fantastic AIO liquid CPU cooler and it definitely deserves a highly recommended award.